How to watch War & Peace: War & Peace (2016) on Netflix Canada! Sorry, War & Peace: War & Peace is not available on Canadian Netflix, but you can unlock it right now in Canada and start watching! With a few simple steps you can change your Netflix region to a country like Japan and start watching Japanese Netflix, which includes War & Peace: War & Peace. We'll keep checking Netflix Canada for War & Peace: War & Peace, and this page will be updated with any changes. 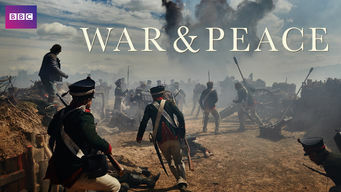 War & Peace: War & Peace is not available in Canada BUT it can be unlocked and viewed! The lives and loves of three aristocratic Russian families intertwine against the backdrop of the Napoleonic Wars and the French invasion of Russia. As their pampered world verges on collapse, history will take a back seat to their passions and betrayals. Season 1 of War & Peace has 14 episodes. Because different Netflix countries have different availability for episodes, you'll need to check the episode listing below to see which are available in Canada. 1805, Russia. The French army under Napoleon has invaded Austria. Pierre, the illegitimate son of a count, inherits his father's vast estate. Bored with married life, Prince Andrei yearns for war to start, while his friend Pierre learns that he will be inheriting his father’s estate. 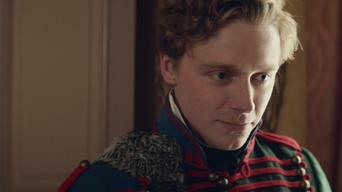 As Andrei and Nikolai prepare for battle, Pierre learns marriage to the wanton Helene is not everything he hoped. Frail Lise gives birth to a son. 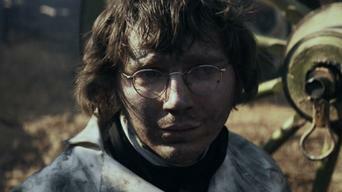 Andrei is injured during the Battle of Austerlitz. 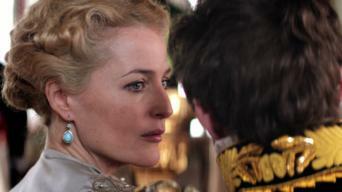 Pierre struggles in his married life with the free-spirited Helene. 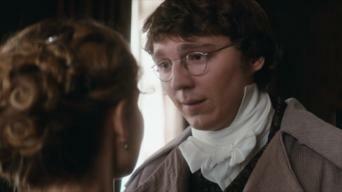 Pierre parts ways with Helene after winning the duel against Dolokhov. Andrei returns from battle, but his wife has complications with childbirth. Pierre fights Dolokhov in a duel and settles with Helene. Nikolai's recklessness leads to financial problems for his family. Andrei and Natasha meet. Andrei's father insists he delay marriage to Natasha and travel abroad. 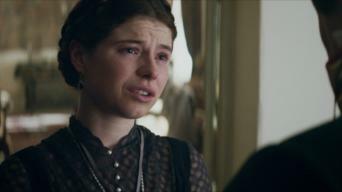 Nikolai refuses a loveless marriage. A lonely Natasha is tempted by Anatole. Spring 1809. Pierre pays a visit to Andrei, who has secluded himself from society. Andrei meets and falls in love with Natasha. Natasha travels to Moscow in January of 1811. With Andrei still away, she receives a cold welcome from his father and sister. In 1812, Russia is invaded by Napoleon's army. Andrei returns home embittered by Natasha. Marya is rescued by Nikolai. Pierre must hide his feelings. Andrei is wounded. As the Rostovs flee Moscow, Natasha finds unexpected redemption. Pierre gets a taste of battle. A defeat leads to second chances. Napoleon's army crosses the border into Russia. Andrei leaves behind his sister and son as he heads off to battle after quarreling with his father. The Battle of Borodino begins. Pierre witnesses the horrors of war. Andrei meets Anatole while being treated for his wounds. Pierre befriends a peasant named Platon Karataev after he is captured by the French army. The prisoners are forced to march in the snow.